See the entire pane of stamps here. This page was made possible with help from Willie Miller WMUD. Erik Spiekermann (b.1947) is a German designer and typographer with offices in Berlin, London, and San Francisco. His firm, SpiekermannPartners, works for clients such as Bosch, Herman Miller, Deutsche Bahn, and Lufthansa. In 1979 he founded MetaDesign, and in 1989 he co-founded FontShop, the first mail-order distributor of digital fonts. For more about his work, click here. For more about his typefaces, click here. Scott, David. 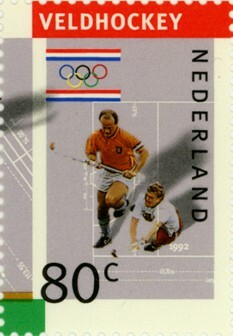 European Stamp Design. (London: Academy Editions, 1995), 53–54. Spiekermann, Erik. “The relations between clients and designers.” In The Boundaries of the Postage Stamp. Edited by Hughes C. Boekraad and Paul Hefting, editors. (Amsterdam : De Balie, 1994), 42–46.